Hainan Airlines which is part of the HNA Group of companies reports that their cargo volumes rose considerably in July of this year compared to the previous year. A total of 116,000 Revenue Tonne Kilometers (RTKs) were recorded for international traffic which is an increase of 71%. Actual tonnage flown went up by 12% to 34,500 tons for the month. All in all year-to-date cargo figures show a 32% increase with 804,000 RTKs being recorded. The cargo figures are for the Hainan passenger group of airlines and do not include the tonnages moved by their all cargo carrier companies, Suparna Airlines (previously Yangtze River Express) and Hong Kong Air Cargo. Chinese express carrier YTO Airlines continues its expansion with Boeing 737 freighters by taking delivery of a sixth converted B737-300F which previously flew in passenger configuration for China Southern Airlines. The aircraft was converted into freighter at PEMCO’s facility in Jinan, China. YTO Airlines has also placed an order with Boeing for a total of fifteen B737-800BCFs which will be converted by Boeing and deliveries to YTO are expected as of 2018. 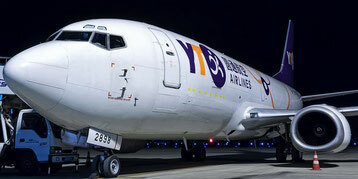 Reports in China state that YTO Airlines is looking at getting their first B757-200 freighter by the end of this year. They work closely with China Southern Airlines who it is said have agreed to handover five passenger B757s for conversion and delivery to YTO. Worldwide Flight Services (WFS) has announced that their U.S. organization which has 60 cargo handling locations throughout the United States, has gained a further 37 airline contracts during the first seven months of this year. Apart from this, they also managed to renew 10 contracts from existing clients. Cargo volumes between January and July have risen by 17% compared to the same period 2016. In total, WFS handled 1.8 million tons in the U.S. during 2016 and it looks like this figure will be topped for this year. Consolidated Air Services (CAS) which WFS acquired last year has now been fully integrated into the worldwide set-up and now carries the WFS brand name. WorldACD Market Data reports in their end of August rundown that overall year-on-year growth in the air cargo sector for July was almost 12% up on 2016. This is attributed mainly to good figures from Europe (+14.2%), Asia Pacific (+13%) and MESA (+13.5%). WorldACD also reports that figures from African and South American regions were again disappointing with only a 2.6% and 3.6% growth in July. Yields generally saw an almost 8% increase for the month (USD comparison) and it was again the Asia-Pacific region which led the way with an average yield increase of 13.2%. The report further shows that the mainstay of the volumes and yield increase lay with the Chinese market. However, interestingly it shows that despite good figures from China, that the market there which has recorded monthly double-digit percentage growth for the first half year, actually slowed down in July to 8%. Not worrying - but considering the size of the market - worth keeping an eye on. Chinese press reports indicate that Russia’s Aviastar airline has reached an agreement with the China Post to operate one of their Tupolev TU-204 freighters on a thrice weekly routing from Russia to China. This service is being set up to enhance the China - Russia cross border e-commerce traffic and will operate from Hangzhou to the Russian city of Novosibirsk. Hangzhou is the e-commerce giant Alibaba’s main headquarters. Up till now China Post has only used rail/road connections between both cities and this new service will speed up deliveries considerably. Each flight can carry almost 29 tons of cargo. It is reported that in 2016 a total of 10 million e-commerce shipments were moved from Hangzhou into Russia. 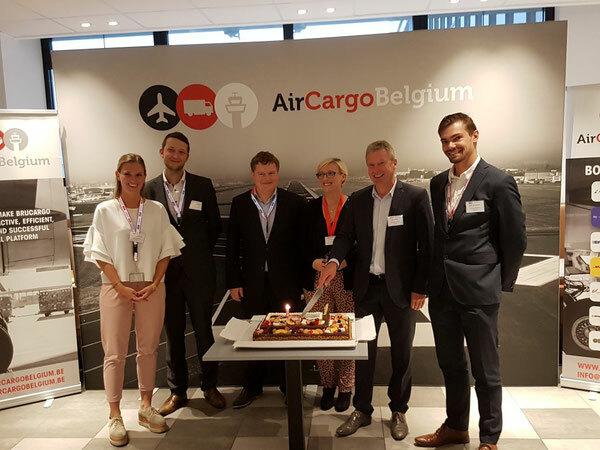 Air Cargo Belgium blew out its first birthday cake candle on Monday 4 September. After one year it is hard to imagine the Brussels cargo community without ACB, which to date has 130 members. ACB has set up partnerships with Belgocontrol, the Customs’ administration, the Federal Agency for the Safety of the Food Chain (FASC), the Thomas More institute of higher education, the Belgian shippers’ organisation OTM, the Antwerp port community platform Nxtport and the air cargo forwarder’s association BAFI. Contrary to the forwarders, who wish to maintain their independent organisation, the Air Cargo Managers’ Association of Belgium (ACMAB, airlines) and the ground handlers have decided to dissolve theirs to become a cluster within ACB. In October the ACB staff will welcome another colleague, bringing their number to six. Alaska Airlines has decided to convert one of their present B737-700 passenger aircraft into a freighter. The aircraft will be converted in Tel Aviv at the Bedeck Aviation Group’s P2F facility and it seems will return to Alaska Airlines’ fleet. Boeing 767-300 passenger aircraft conversions to freighters continue unabated. Cargo Aircraft Management (CAM) which is the leasing arm of ATSG who supply Amazon’s Prime Air fleet, took over a B767-300BDSF which previously flew passengers for American Airlines after conversion by Israel-based Bedeck Aviation. A third Airbus A330-300 passenger aircraft has been taken over from Thai Airways by DHL Express and will be converted into a freighter at EFW’s Dresden conversion facility. DHL Express is working closely with EFW on A330 conversions and has eight firm orders along with a possible extension for a further ten of the type.